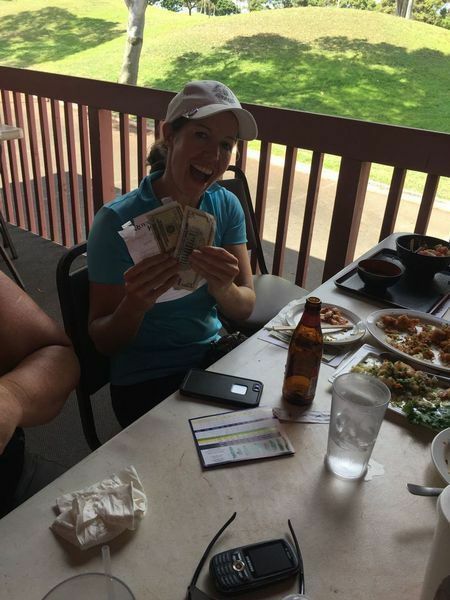 Featuring FUN Optional contests (not mandatory) - Closest to the Pin on all Par 3's, 2nd chance Closest to the pin, Longest Drive for Men/Women, Least amount of putts, Longest one putt, Loud socks day, Bring back the Blue Ball, Scramble, Golf Tournaments, and Super Ball (Day of Super Bowl). We also offer twice a month practice at the driving range, and golf clinics. 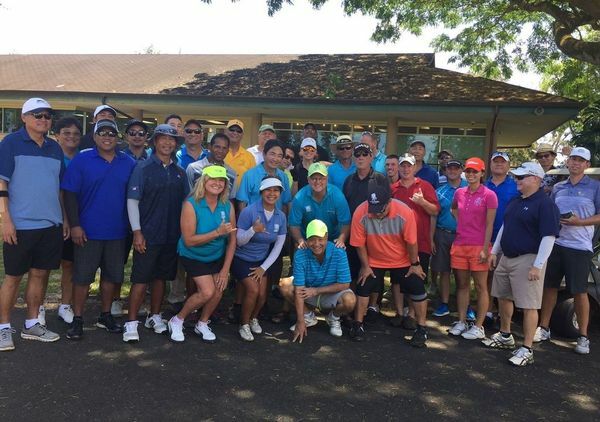 After golf rounds, we all congregate at the 19th Puka (hole) for announcement of our winners, to grab a bite and a drink, and socialize. See (PAGES) for previous winners of the contests. Remember, these are optional events! You may just play 18 holes if you wish. We have a blast with these games, so we encourage you to join in on them! How to Join: New members must submit and complete the entire profile sheet questions w/photo and must be approved by our TEAM! Photo must be provided so we can recognize you at the event. Please check your email immediately after joining as additional info may be requested. Chip In/Donation-optional not mandatory - $20.00 Annually to help out with meetup website, printing, and office supplies. We kindly request that you show up on time, or if you know you can't make the meetup, please change your RSVP immediately. No-shows are unacceptable as we make a particular number of tee times to accomodate all of the RSVPs. We will excuse it for the first time. If you can't make it due to an emergency, kindly change your RSVP ASAP or leave a comment in the event saying you're not going to make it. Just let us know- we are understanding. 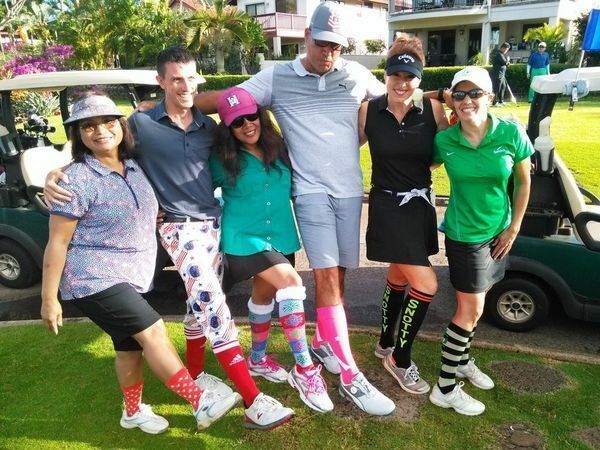 Most golfers share a common bond of respect with each other. We encourage you to visit our Calendar page on the left column tab, as we schedule golf events 2-4 months in advance. 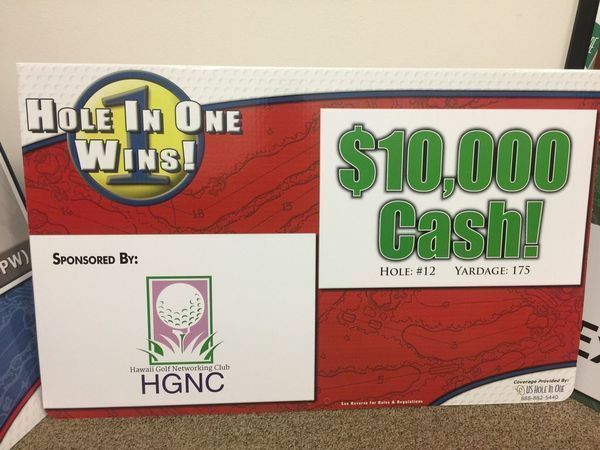 HGNC, sanctioned by USGA, is a private golf meetup club and is comprised of VOLUNTEERS/DEDICATED MEMBERS, who not only shares their golf talent but also their true Passion in this sport! Make it a great day everyone and keep it in the fairway! 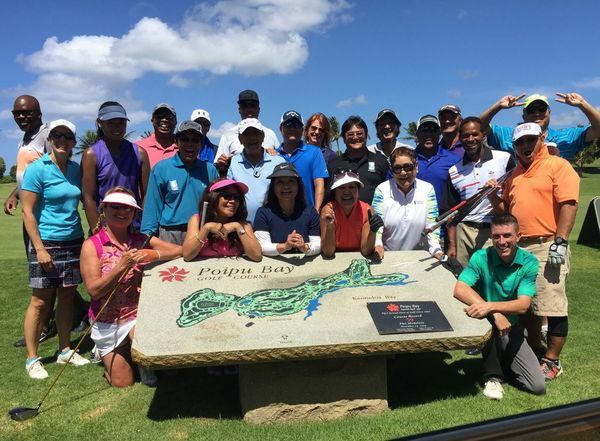 "The friends you make at the golf course, are friends you make for life"